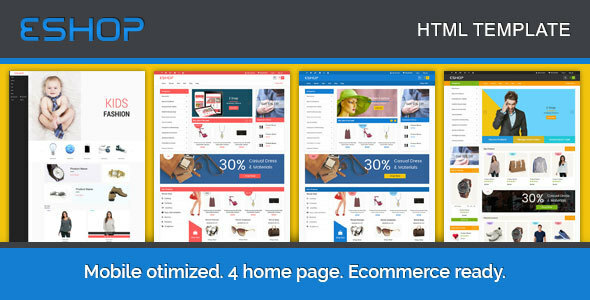 E-Shop is a responsive eCommerce template powered with Twitter Bootstrap 3.3.6 frameworks. E-Shop can be used in applications: Fashion store, Electronic Store, Mobile Store, Market Place, B2b, B2C, Cosmetics Store, . E-Shop has smooth and user friendly e-commerce layout which is easy to customize, easy to upgrade, portable and clean coding and clean design which decorates your next project look awesome and yet user friendly. E-shop fully tested to work seamlessly on all major web browsers, tablets and phones.